For every business need to be own updated to maintain our company stabilization in the present market. There are many more business brands are getting terminated from the market because of a few mistakes. For every organization, it will be and needful thing to expect satisfaction of their existing customer and client. And enhance the brand name in the market to get more & more clients. We decide to start up own travel agency in a market then we have already the lots of competition is available. We need to tackle that competition and create own reputed name in the business. When we try to do that there have steps to develop for analyzing present mistakes and ways to fix them. 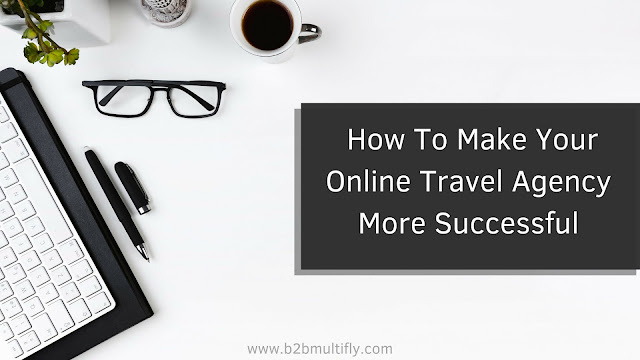 Lets we refer some tips in the blog to increase efficiency in Start Online Travel Agency Business. Lots of Websites lost their users or audiences because of lack of personalization in a website. Multiple advertise on a web page. Hanging and confusing range of product and services, the layout of a web page is distracting the user behavior. We get dropout in the user experience. There are many more tools available in the market gives us the detail information about the action of users on our website. 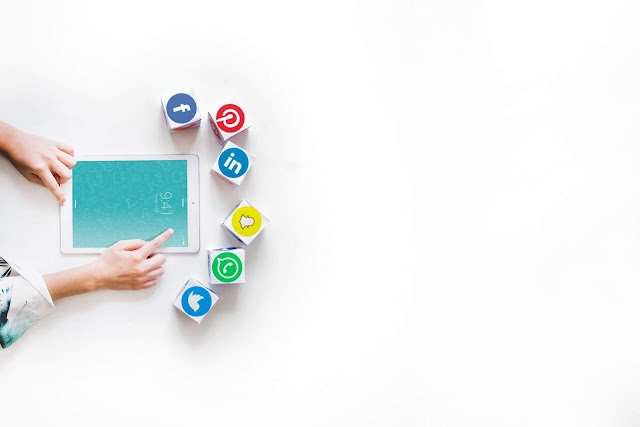 Check the things which more interactive with users and customized experienced with handpick content and ensure the perfect match with a user. You promote online travel business then mention all the things and guidelines well in Website. Consumers are reasonably changed finding booking point to point trips and rooms. Some travelers would like a flight, a car, and a hotel to be ready for them. Others may have someone meeting them at the destination and won’t require transport. Once our website converts into the B2B Travel portal then our tabs getting increased, we follow it to the proper way to treat user clearly identify the benefit of each listed option compared to other items in the search. You can also use the information acquired through customer behavior tracking to tailor each user’s experience. Add well call to action element on websites at the right place it’s also the necessary thing. You have travel application then it's the best idea to push the notifications of on mobile devices about your best deals and new discount offers. Also on the web page bounce messages align in a bottom corner of the website. With the latest trends in online presence make flexible to our strategies on online promotions. The Online promotional platforms and directories ex. Facebook Instagram etc. keep life and update with day to day activity. Display new discount offers help of images update social content daily. It increases the flow of users on your website. Your customers must find your services satisfactory if you want them to come back for a repeat purchasing of tickets etc. from your company. Address their complaints as quickly as possible. Have a chat box always live on your online business website so that your consumers can have their solutions fast from your end. Try to make your customers happy by appeasing them with timely services and new enticing discounts or other such offers. 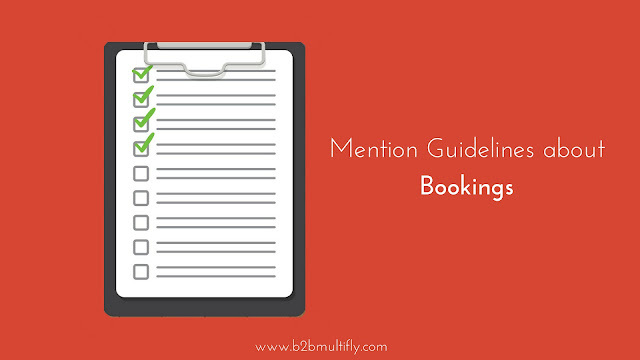 The B2BMultifly is India's Leading B2B Travel Booking Portal. We provide you Travel API Integration for Website and also white label solution for travel agencies. 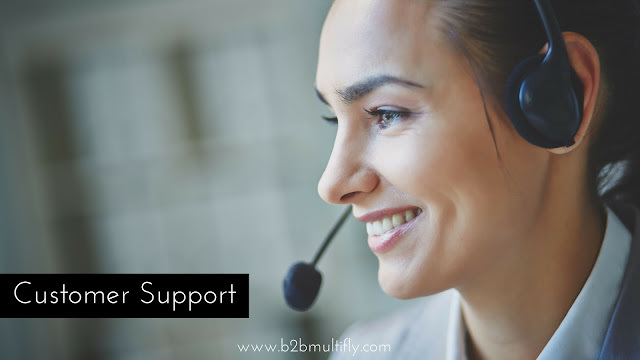 Contact us at our number +91 7506287428 or mail us at enquire@b2bmultifly.com. Only fill up the enquiry form on our Website - www.b2bmultifly.com. Our coordinator contacts you within 24 hours. They will resolve your doubts and guide you on how to get API on your website. You can also join us Become Travel Agent. Contact us at above-given details. Our coordinator guides you on how to get register on our website or how can get your Air Ticket Booking Account. I really like your blog, its very useful for us. Thanks for sharing information with us.